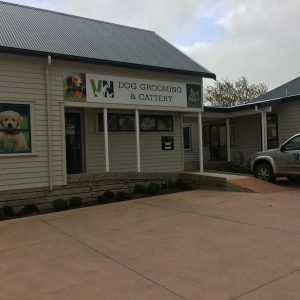 Vets North offers a safe, secure and affordable cattery in our Waimauku branch, West Auckland. With over 50 years experience caring for pets and animals, our philosophy has always been to provide excellence in service and care of your animals. Our cattery is no exception, providing a pristine, hygienic and friendly environment for your cat. 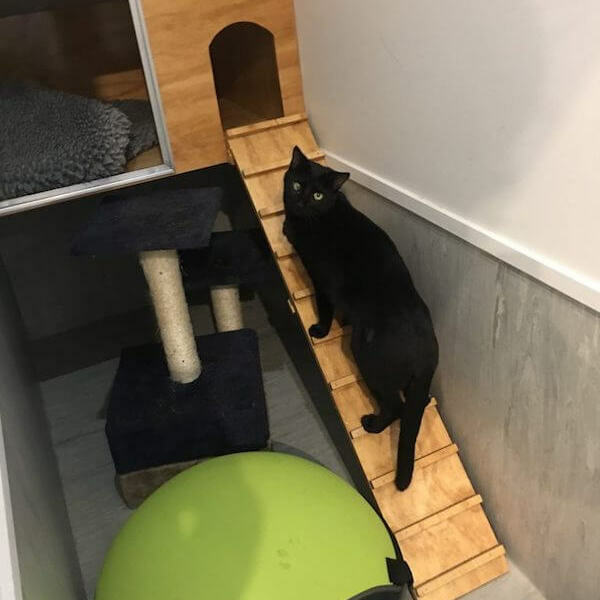 Our cattery has a range of housing options, where cats can be housed either individually or in larger family groups. 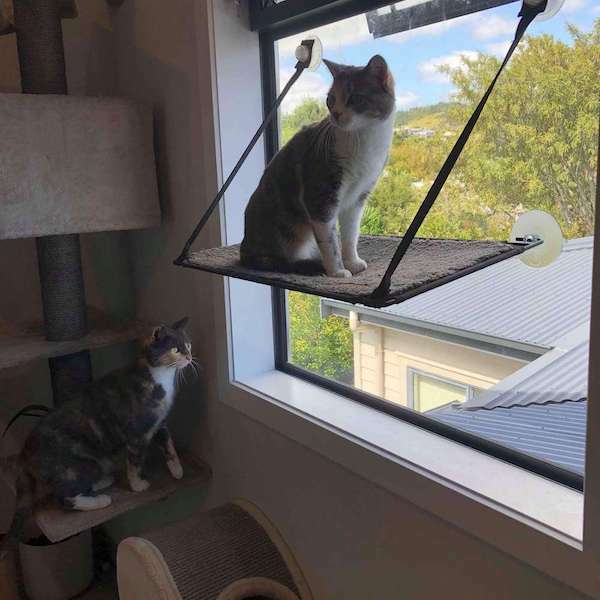 Our clinic comprises of 17 self-contained suits, each of which provide a safe, stress-free and enjoyable environment for your cat. 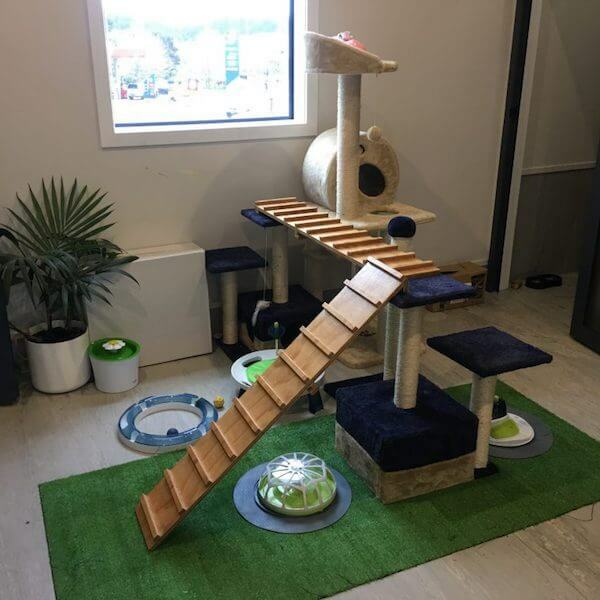 Our cattery also has a large communal play area, which means your cat can still enjoy social stimulation and behavioural enrichment during their stay – all under the watchful eye of our trained veterinary staff. 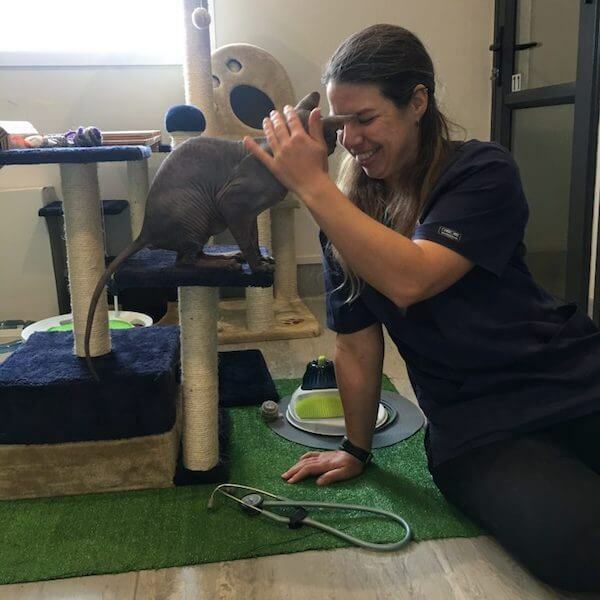 The best thing about our cattery is that it also doubles as a veterinarian clinic, so your cat is always under the care of skilled vet nurses. You can be assured your cats health and well-being is our number one priority. This also allows us to monitor and manage any of your cats medical or dietary needs. If your cat is on medication or requires regular injections, our staff can also easily manage these requirements. Our premises are located in West Auckland, Waimauku, where our guests will enjoy quiet, rural surroundings. Located in the Rodney district, Waimauku is only a short drive from Haupai, Kumeu, Helensville, Taupaki or Muriwai. The Vets North cattery can also offer cat desexing, dental treatment and general grooming services if required. 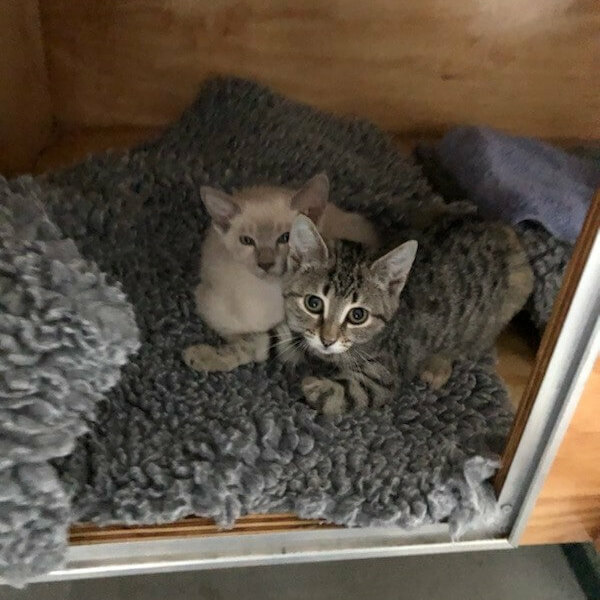 If during your cats stay, we find it to be unwell we will contact the owner and have the cat professionally seen to by one of our vet staff immediately. Our cattery offers extremely affordable pricing and starts at $15.50 per day. Do you have various levels of comfort or luxury, depending on your budget, or are all rooms priced the same? The suites are all priced the same, including our double suite which is perfect for multiple cat households. Is my cat safe from other cats? Yes. All cats are kept under a constant watch when playing in the communal area. This is to make sure if there are any cats that don’t get along, one of our trained professionals can separate them at once. Is there only one cat per room? Yes, however cats from the same family may stay together if they’re comfortable. Is there a maximum stay limit? No. Our cattery is perfect for any duration of long-term stay. Is there a minimum stay limit? No. We can even cater for cats that require to stay for half a day or less. Do you accept kittens? If so, what is the minimum age? Yes, we accept kittens if they are at least 8 weeks old. We even cater for younger kittens if they are still with their mother. What if my cat has not been desexed? If your cat has not been desexed, please give us a call to discuss your options. What if my cat has special dietary requirements? Being a veterinarian clinic, means we are more than ok with feeding your cat a special diet. This is not an unusual request and our staff are all highly trained professionals that will adhere to any requirements your cat needs.